Participating in a blog chain initiated by Louise Bibby as part of International ME/CFS/Fibromyalgia Awareness Day on May 12. Most of you (my friends and family) know that I have Chronic Fatigue Syndrome (CFS). It is also known as Myalgic Encephalomyelitis (M.E) and Chronic Fatigue Immune Dysfunction Syndrome (CFIDS). This illness doesn’t even have one name that everyone can agree on, which is one of the many frustrating aspects of living with this multi-faceted illness. As part of International ME/CFS/Fibromyalgia Awareness Day on May 12, I have made a list of 5 things you may not know about me (in general) and 5 things you may not know about my life with CFS / ME. Have a read and see if there’s anything you didn’t know. 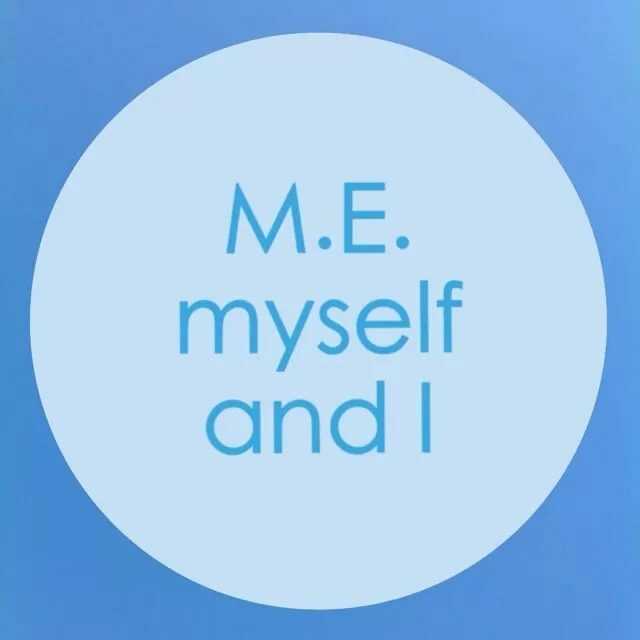 Awareness Day is about creating awareness, so through these questions and answers, this is my way of creating a little more awareness about CFS / ME in my own personal network of friends and family. If you wish to pass this onto anyone, feel free to do so. It will create more awareness of this debilitating illness if you do. Thank you! What is your name and how long have you had ME/CFS? I’m Anna and I’ve had ME/CFS for almost 4 years. I live in Stamford, voted the number 1 place to live in Britain by The Sunday Times. How fancy. 1. I’m not ashamed to say I bought tickets for the Westlife Farewell tour. Sadly I didn’t make it though. 2. In my day I was a pretty good javelin thrower! 3. I cannot sing and yet somehow got a lead role in West Side Story at school. 4. I am the biggest film wimp. I cannot watch anything remotely ‘scary’. 5. On my first day in a new job I drove straight into my employer’s garage door. 1. My vision is still as blurred and fuzzy and out of focus as it was when my symptoms first started. It’s constant but I suppose I’ve got used to it now. 2. I feel worse if I sleep too much. 3. My symptoms are ever present. Constant. Only the severity varies, from unbareable to almost-tolerable. Every single thing I do is counted as ‘over exertion’ according to my body. 4. I feel guilty for the impact this illness has had on the people I love the most and I hate the fact that there’s nothing I can do to unburden them. 5. Apparently you can tell how poorly I’m feeling by how slurred my speech is. What one thing do you think most people wouldn’t know about living with ME/CFS that you’d like them to know? People are always surprised to hear that I don’t watch much television or do the things that you’d expect ‘normal’ people to do on their days off. They imply that I’m lucky to not have to go out to work 9 to 5 every weekday. They seem to forget that I’m effectively working against my own body 24/7. What is the most frustrating aspect for you of living with ME/CFS? The ignorance, stigma and misunderstanding. The fact that people cobble together their own idea of what M.E. is without giving it any real thought. Any other bloggers who want to join in the blog chain, please copy this and fill in your own answers. Then email Louise@GetUpAndGoGuru.com or send Louise a Tweet so she can link to your blog post in her original post. Previous Life for a young person with M.E. Next Why is M.E. Awareness so very important?